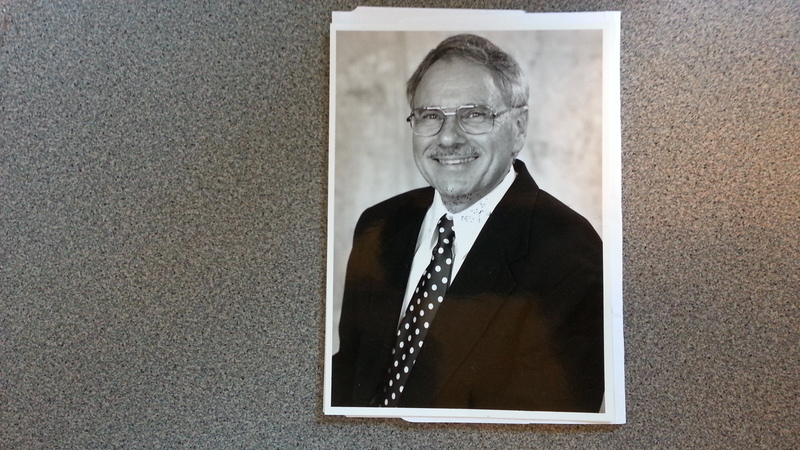 My father in full bloom as a retired technocrat, New York City Planning Commission. My father, the father of modern demography, author of some studies of race and ethnicity from the civil war period to the modern era. He finished up his career as a demographer for New York City. Felled by too many carbohydrates (bagels in particular) from government/agribusiness lies about a heart healthy diet, smoking for forty years, the stress of living in Reagan’s America and under attack by Kent State University from 1973 to 1983 due to my mother’s lawsuit against the hyenas (for gender discrimination) and the stress of his eldest son refusing to get a respectable white collar job and become a liberal. Still, he lived for 83 years, although for the last two half of his heart was gone, he grew weak, and became somewhat religious. Centuries of Litvak scholarship and wealth accumulation (often at the expense of the Belarussian peasantry to be sure) enabled him and other descendants of the Litvak and other Jewish ruling classes to advance civilization through their intellectual achievements and contributions. See also Kantorovich the mathematician of the USSR who worked on the problems of central planning, Kantorovich the Poet Laureate von die Deutsche Demokratische Republik, Ernst Kantorowicz, the murderer of Rosa Luxembourg and later tenured Professor of Medieval History at Princeton University, Norman Cantor, Professor of Medieval History, et al. 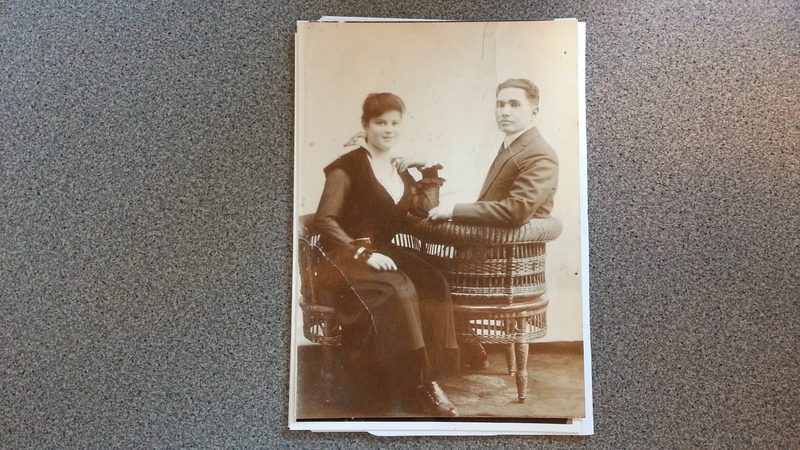 Lili and Max at the time of their marriage around 1915. Isn’t Lilli cute? She reminds me of cutie from Slonim who works at the Park Bar/Restaurant in Niasvizh. They were both supporters of the Bund/Mensheviks and the American Socialist Party. My Uncle Irving told me they used to get down on their knees every night before bed and pray for the victory of Norman Thomas, the Socialist Party USA candidate for President. Lili came over for a visit to Amerike about 1912, met my grandfather in New York City and decided to stay. That she had the money to visit Amerike indicates that her family was well-off. I heard that they were furriers and lived in the only stone house in the ghetto or in Nyesviz at that time. Max’ family was also most likely well-off as The Kantrowitz families of Nyesviz had multiple storefronts on the Bazaarnaya Marq, including a bookshop. Last year in Nyesviz, I visited just such a bookshop on the Marq. The Blochs I am assuming were THE capitalists of Nyesviz. This photo dates from about 1935 before the Soviet liberation and social revolution. The old man is Chachmed my Great Uncle and the old woman is Malka (Gurvits) my Great Aunt and my grandmother Lilli’s older sister. Malka looks almost exactly as my grandmother did in 1979 when I met Lilli. I am assuming that Chachmed’s four son’s were deported to the gulag as enemies of the people since there are four Bloch’s missing from the lists of those shot by the fascists. The other family is Kats, who occupied the house on 79 Michala Street, now renamed Liebknecht Street for the German Communist martyr who was murdered with his comrade Rosa Luxembourg, whose murder was carried out by my probably distant cousin Ernst Kantorowicz who was rewarded by the American ruling class with a tenured position at Princeton University, home to Woodrow Wilson, or The Thief, as Lenin called him. But I digress. Kats is a euphemism for Kohen as a Hasidic Talmudist told me not too long ago. This indicates probable membership in the old Litvak religious ruling class who oppressed the Jewish masses in the feudal period. At the same time this ancient and feudal subcaste went on to achieve greatness in the areas of scholarship, art and probably even revolutionary leadership. Brajna Bloch the middle-aged woman in the back row center was the daughter of Chachmed and Malka Bloch. She was my grandmother Lilli’s niece and at the same time, cousin of sorts, both of them being about the same age and coming from similar social status. They were debutantes of Nyesviz or JAPS (Jewish American/Belarussian Princesses) from the ghetta. Rachel Kats is top row, far right. I am assuming she was Brajna’s sister-in-law. She also left for Nev York. 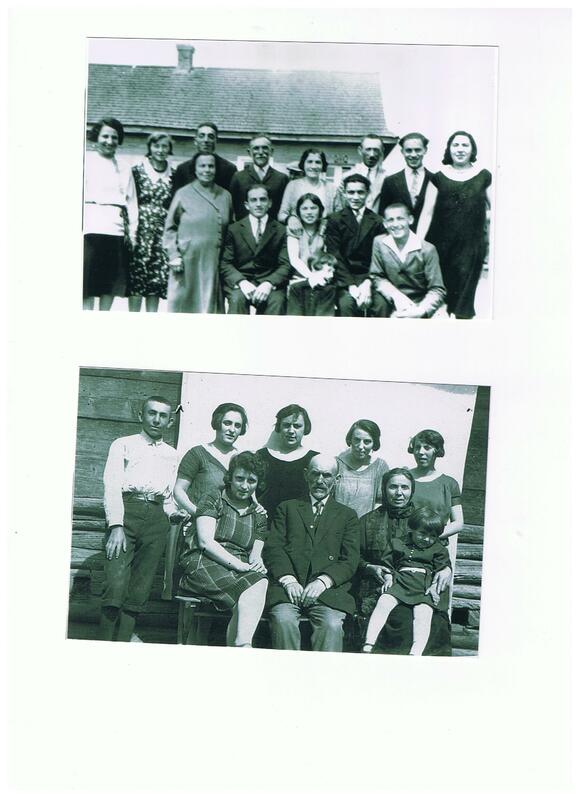 Ganesza Kats, now still living in Connecticut at the age of 93, is the little girl in the lower right corner sitting on her grandmother Kats’ lap. Ganesza is the daughter of Brajna. The year was 1927 and this was the last photo of the family before Brajna and Ganesza left for New York City. The photo was presumably taken in the back of 79 Michala Street. It is a humble little cottage, the rest of the family does not look that well off and I wonder how they lived and what their orientation to the social revolution of 1939-1941 was. At any rate, they were presumably all murdered by the capitalists/fascists and now lie under the earth at Park Slavy Komsomola. Brajna Bloch and Lilli Gurvits were friends for all their lives and as survivors of the genocide and as ladies from the same social circles they were two of the few Litvak bourgeoisie who remained from the small old town of Nyesviz after capitalism destroyed their world. Here is a statue that marks the path to the execution ground of my ancestors. An angel watches over a little boy as he marches to his death. The statue and execution ground is located in the back of the park formerly owned by the feudal barons Radziwill. There are approximately 120 names from Nyesviz of Red Army soldiers listed as killed in the Second World War. After the genocide and the war, the houses of murdered Jews were reoccupied often by non-Jewish Belarussians. Happily in the case of my cousin’s house, it seems that the house is now owned by a Jew living in the main Jewish city of Belarus and renting it out to a Roma woman and her daughter. Michala Street was the main street of the ghetto in Nyesviz. After the war, the comrades renamed it Liebknecht Street in honor of the German Communist martyr Karl Liebknecht, murdered by the Friekorps on order of the right wing of the German Social Democratic Party during the uprisings in 1919. I am proud that the street was renamed for this leading German comrade as it shows international solidarity in the wake of the genocide and points to the role of Jews in liberating Nyesviz from the boot of the Polish occupiers.